For the last 57 days on my Facebook page I have posted the bios of distinguished men of color as a way to counterbalance the negative imagery portrayed in both regular and social media of minority males. I call my campaign “Who You Are and Who You Can Be. Controlling the narrative and defining ourself” Today’s spotlighted is very personal to me in that it’s my dad and well he was supercool so I decided to share it here. Charles W. Cooke was born March 4, 1913 in the segregated south upon his graduation from high school he moved north to New York City in search of a better life. 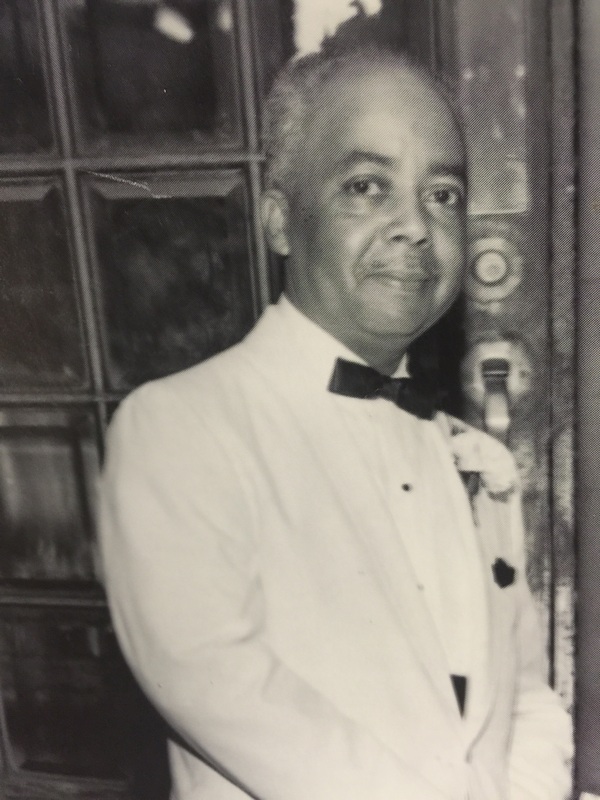 Blessed with a keen sense of entrepreneurship Mr. Cooke started three successful businesses a newsstand, the selling of leather goods and a lunch counter style diner. Mr. Cooke and his wife of 49 years Francis Cooke (married on March 4th as well) were well known in their community as their door was always open to family and friends. Mr. Cooke was also known for his willingness to assist those in need and dispense wisdom and advice to the neighborhood youth. At the age of 53 and having already raised two daughters Mr. Cooke once again showed everyone what kind of special man he was by adopting a new born child. That child could at times be a handful as he was known to throw a temper tantrum or two but Mr. Cooke never wavered in his love for that child treating him like his own flesh and blood. Mr. Cooke instilled in the young boy the importance of education, respect for women and imparted the moral values which he lived by. That young boy went on to graduate college and have a successful career in government and the world of not for profits and has lived his life by the moral code in which he was raised. I know all of this because that young boy is me. After 33 years of service to the NYCTA Mr. Cooke retired but he remained active in the community and was a key person in the conversion of a block long empty lot into The Farm in the Bronx. A vibrant community garden that in collaboration with Cornell University produced tons of fruits and vegetables each year for the community. His work was recognized when the City of New York officially renamed the garden the Charles W. Cooke Farm. It has been 27 years since Mr. Cooke has left this Earth but his spirit lives on in the many lives he touched and influenced including this sorta young man. So let me be one of the many to wish Charles W. Cooke, my dad, a very happy birthday!! This entry was posted in Just Me and tagged Dad, father, mentor on March 4, 2015 by Carl A. Cooke.